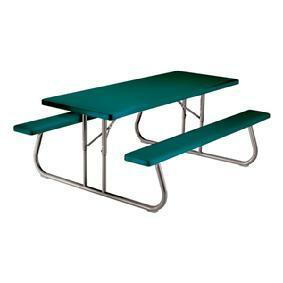 Description: Commercial Furniture's Blow-Molded Plastic Picnic Table is made of high-density polyethylene, so it stands up to weather and is easy to clean. A sturdy steel frame supports the tabletop and benches. Six-foot length holds approximately eight people.